Available in case of problems. In the Picaud family, there is a fisherman from father to son. The Mabon II shares its activity between lobsters (from April to September) and all other coastal species the rest of the year. 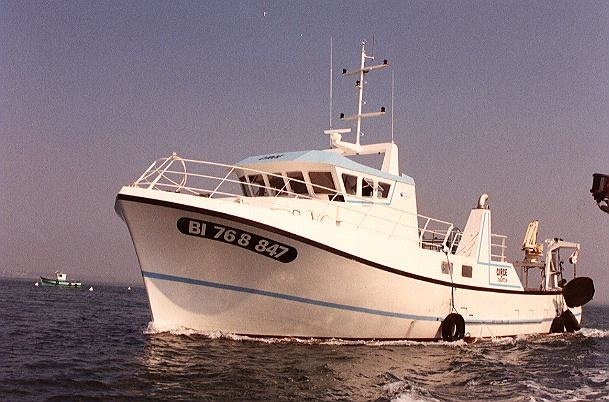 I purchased the Mabon II in 1988 in perfect condition at the Chantier Naval Croisicais. Until then, I had worked with wooden and metal boats, but never with a polyester hull. Less maintenance and no need to paint every year, there are nothing but advantages! In recent years, I have experienced serious damage. Each time, the Pradelle family not only performed all of the repairs to code, but they did it in minimal time. They have true expertise, they are available, and they listen clearly so that they can provide the exact boat you want or performed the necessary repairs. Hervé Baud is captain of the "Baie des Anges" trawler in Bouin. The 10.80-metre boat attracted him right away. Why did I choose CNC? Because they make beautiful, nicely shaped boats. Their ships are built with quality in mind. They are solid and well-designed. I had a very specific request... I wanted a large walkway in the middle of the boat. They heard me and were able to make it happen, exactly like I wanted. They know just how to respond to requests, without exploding deadlines. Our schedule was completed within six months, and my ship was delivered 15 days early! Since then , I have trusted them to maintain the Baie des Anges. Pierre Bouvet, a Porto Vecchio fisherman, has been a CNC customer for almost 20 years, including the building of his Circé. After fire damaged my previous boat, I quickly had to build a new one to replace it. I started out looking at Spanish shipyards before looking at the Croisicais. Their approach and their reliability were enough to convince me. This was the first time that I built a Mediterranean boat in Brittany! They built my boat perfectly. Quality, time, finish, everything... twenty years later, and I still have not heard any complaints. 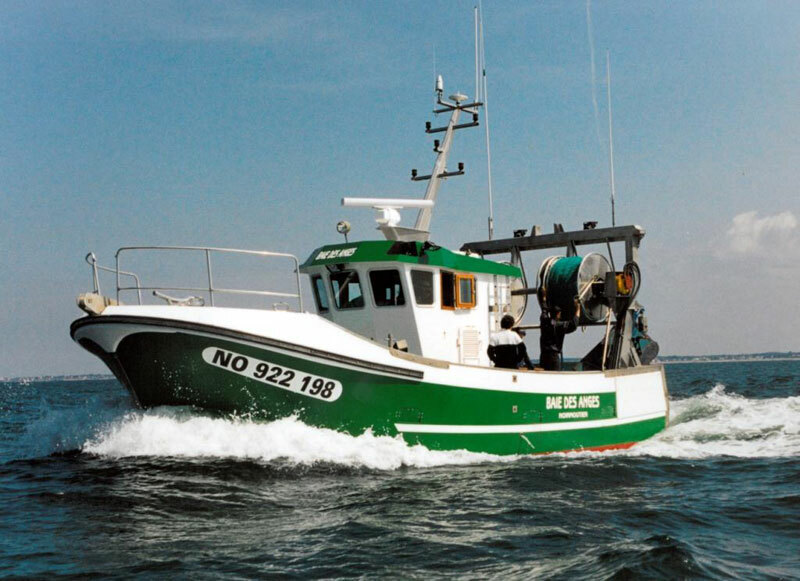 Gilbert Thébaud owns a maritime company that operates in the Gulf of Morbihan, with trips to Houat and Hoëdic. I built my fleet of ships with rental ships, with the exception of the Fée des Îles, which was built 20 years ago with the CNC. The 20-metre vessel can accommodate 143 people without a problem. Regularly maintained by the CNC, like many of my ships, they always give it their utmost attention. With the CNC, there are no surprises. If a new request comes in, they can handle it. Nothing is obscured, and costs are kept low. Another important point is that they do not hire subcontractors. All of their skills are internal, in terms of both their technical skills and administrative skills. Repairs, conversions, maintenance, whatever... CNC can do it all! They are friendly and reliable. Like I always say, we don't go to a shipyard, but to a family! 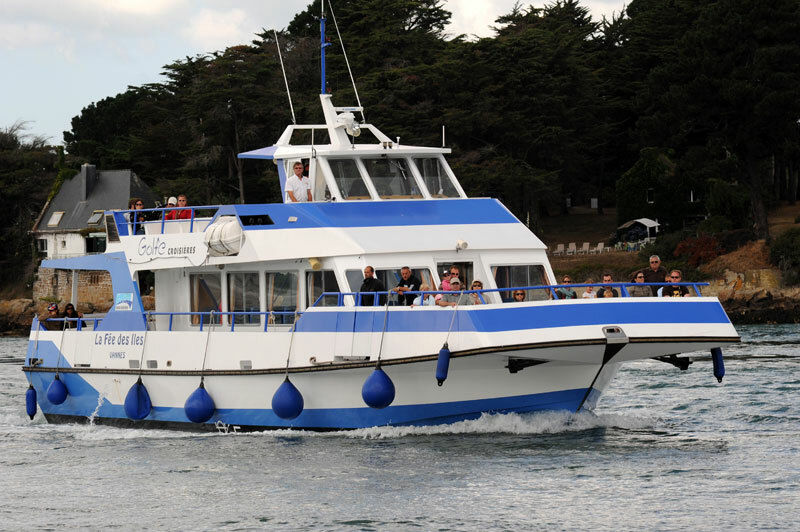 Emmanuel Alessandrini – Captain at the INSU (National Institute of Earth Sciences and Astronomy) at La-Seyne-sur-Mer – worked with the Chantier Naval Croisicais to construct the oceanographic vessel, the Albert Lucas. The INSU (National Institute of Earth Sciences and Astronomy) is a CNRS institute whose technical division fits out a fleet of 11 ships. As part of its plan to renew its fleet in 2009, the CNRS called for bids on the construction of a 12m oceanographic research vessel, on behalf of the IUEM and the AMP. The Croisic shipyard was awarded the contract by submitting a highly competitive technical and sales bid. Scientific boats are very different from the fishing boats that the shipyard typically builds. The Albert Lucas is an oceanographic boat that requires specific fittings for our area of research and observation. Technical meetings took place once or twice a month with the IUEM's technical and scientific teams so that everyone was on the same page as far as what needed to be done with respect to the laboratory's needs and constraints based on effective legislation. Mr Pradelle's relationship with the Commission de Sécurité Nord Atlantique-Manche Ouest helped us to know the latest safety regulations so that we could install technical innovations in compliance with the latest safety rules. They are skilled and open to ideas, and they can successfully diversify their construction. It was possible to add interesting technical innovations, such as the installation of a multibeam sensor, which is practically a first for this type of boat.